Satcom training courses keep individuals in the satellite communications industry up-to-date on the latest trends. As technology continues to evolve, especially when it comes to voice and data telecommunications, it’s imperative that employees acquire ongoing training that reflects the latest market trends. Tonex offers high-quality satellite communications training for small businesses, Fortune 500 companies and government agencies. There are many factors that set Tonex apart from other training agencies, making our team a top choice for companies such as DoD, MoD, JMOD,.Intelsat, Thuraya, Inmarsat, NATO, NASA, American Express, McAfee Inc. AT&T, Vodafone, Verizon, Print and NTTDoCoMo. SATCOM Training, TONEX is the Leader in the SATCOM Training since 1993! We have been provided Satellite Communications Training since 1992! SATCOM Training provides an introduction to communications satellite technologies, services, orbital mechanics to satellite design and launch, configuration and installation of earth stations, the implementation of communications links, the set-up of the satellite network, the capabilities, and limitations of current satellites. Satellite Communications Training, why TONEX? Satellite Communications training course by TONEX provides the attendees with an in-depth background of satellite communication techniques as well as a state of the art update on key emerging technologies and future systems. 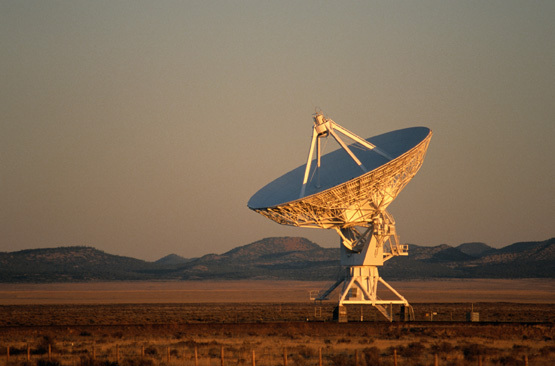 Satellite Communications training addresses all important aspects of the subject, including traffic, multiple-access techniques, link budgets,the spacecraft bus, and the orbits. Professionals and managers who are new to the SATCOM industry, and who want to have a clear understanding of basic satellite communications. User Terminals: devices used to connect to satellite network; can be receive-only or transmit; mobile or fixed; a dish, a laptop, or a handheld, depending on application, site, etc. Geosynchronous (GEO) satellite orbit (22,300 miles) rotates at the same speed as the earth’s rotation. Three satellites can cover most of the globe. Medium earth orbit (MEO) satellites are closer to users on Earth but 10-18 are required for continuous coverage. Low earth orbit (LEO) satellites are closest to users (300-500 miles) but 40-70 satellites are required for full coverage. All of our SATCOM training courses are flexible and can be structured to meet the needs of your organization. Our courses do, however, follow a format that has proven results for participants. The structure includes an in-depth overview, hands-on activities and interactive learning. Our courses, reading materials and topics are updated continuously to meet the latest advances in technology. Our satcom courses don’t follow the trends; we stay ahead of the curve so that your employees are prepared for these new changes. Certifications We have both Tonex Certifications and Industry Certifications to demonstrate the training your company has received in the field. All certification courses are up-to-date and deliver immediate results. Classes Designed by Experts We can only bring you the best if our satellite training courses are well-equipped with the right information and interactive learning. In order to meet this goal, our classes are designed by specialists in the field who are familiar with the industry and the evolving trends. Tonex has numerous classes that focus on telecom education and consulting services, global training, engineering, systems engineering and mobile applications. We are committed to excellence and always deliver the highest quality satellite communications training to our clients. With 20 years of experience, our satcom training courses have proven themselves over and over again. Contact our team today to learn more about signing up for one of our innovative classes.